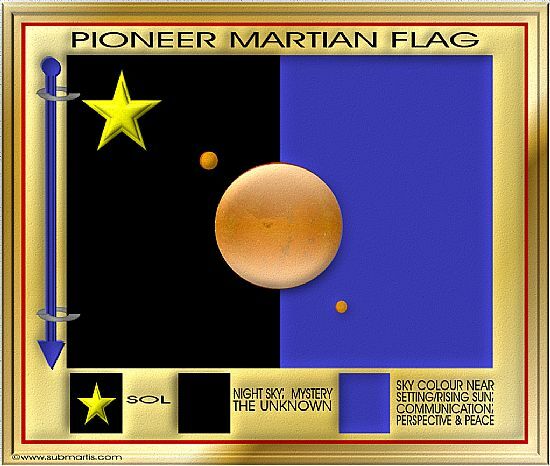 This is the Pioneer Martian Flag. It dates from the early pioneering sols of the Primary Colonisation Period and later incarnations have not generally been accepted. Most Martian citizens are proud of their Flag and display it regularly.